WASHINGTON, May 11, 2018 – Thousands of families, community leaders, clinicians, birth workers, business owners, and others rallied in Washington, D.C. and in 52 cities and towns across the country Sunday to kick off the first ever Maternal Health Awareness Week and to advocate for American moms, babies, and birthing families. 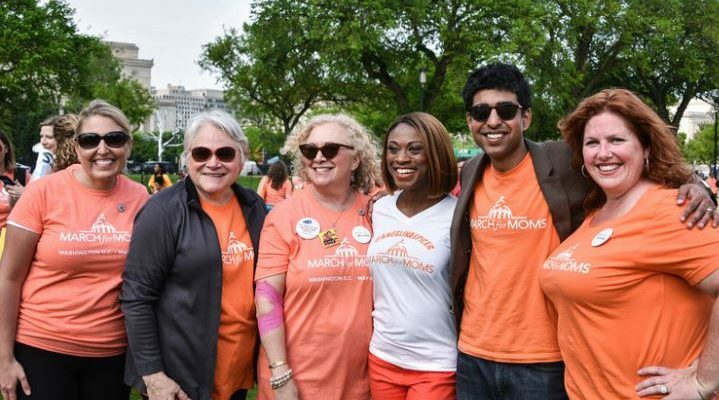 In addition to the March – organized by the March for Moms Association and 2020 Mom – advocates headed to Capitol Hill this week working to enlist lawmakers to pass a group of bills aimed at keeping mothers safe during labor, delivery, and the postpartum period. Maternal Mortality rates in the U.S. surpass those of any other industrialized nation with women of color dying at 4 times the rate of white women. One in every three Americans is born through major surgery—twice as many as are medically necessary which is a significant contributor to this rate. At the same time, we have the lowest birth weights, the widest disparities, and the worst paid family leave policies in the developed world. One of the main bills advocates are pushing for is one that would give states money to establish or improve existing committees to record and analyze any deaths associated with childbirth and report them to the CDC. 28 states currently have or are creating such committees but currently the processes by which they gather and report information, is not standardized. Another bill would require the government to identify areas with a shortage of maternity health care providers and the other is focused on paid family leave policies.